Christian Nieto Machuca debut on Disque Discos with plenty of Congas, pitos, maracas for your latin tech house fetish Hecho en Chile. 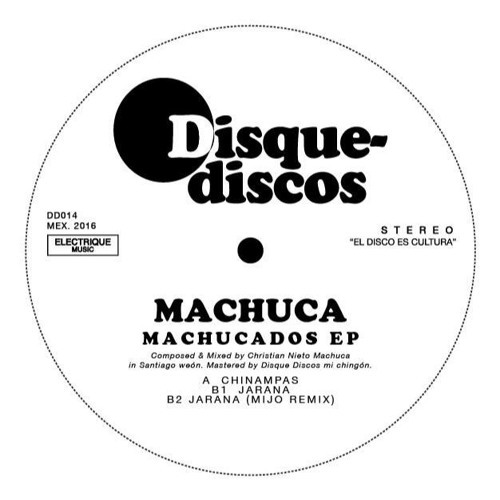 Machucados EP includes a stable Mijo remix. Enjoy!